In the late 19th century, Lynn, Massachusetts was the shoe capital of the world. Historians have a shoe ledger which dates back to 1623 indicating shoes were made in this region of the US. 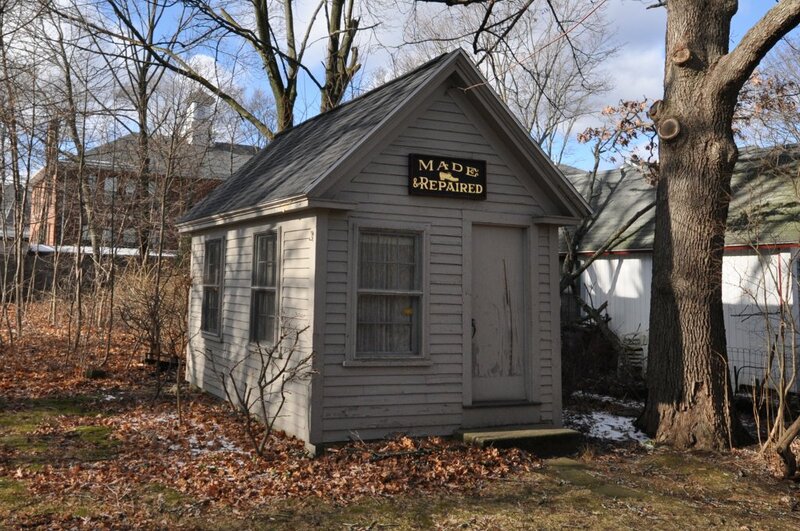 Lynn during the colonial years was littered with Shoe Shop–Doucette Ten Footers ( 10 foot by 10 foot shacks), where artisan shoemakers practiced their craft. Production in these early days was low by today’s mass production but these shoes were hand crafted. As the Industrial Revolution took hold shoemaking moved from small shops to factory floors and the introduction of new technology increased from five shoes per day to 50 pairs. Cutting and shaping the leather, piecing eyeholes, as well as producing the heel and soles were producing the soles were all mechanised. The only aspect of shoe making which required intensive manpower was lasting. Artisans still had to hand stretch the leather upper over a last and nail the leather to the insole. This created a bottleneck on the assembly line but was considered too intricate a task for any machine. Then Jay Matzeliger invented a lasting machine which would revolutionise the shoe making industry. Matzeliger was born in Africa to a Dutch engineer father and a Surinamese slave mother. 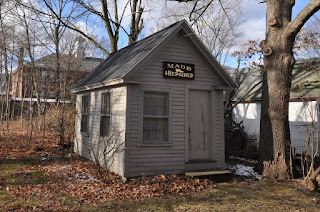 When he arrived in Lynn in the 1870s, he was a consummate shoemaker but spoke little English. 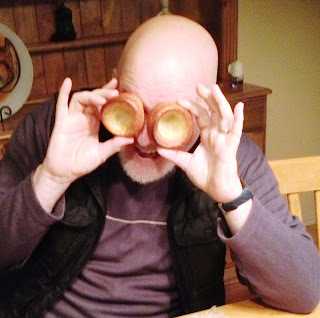 He spent endless hours watching lasters work before the talented amateur engineer came up with a prototype lasting machine. After five painstaking years, his obsession paid off and in 1883, Matzeliger finally obtained a patent for his lasting machine. His invention was finally unveiled and demonstrated on May 29, 1885. Factory production jumped 1500 % per day and the cost of a pair of shoes made in Lynn dropped in half. Within a few years, Lynn is the undisputed shoe capital of the world. 234 factories churning out more than a million pairs of shoes each day. Sadly, Matzeliger would never fully enjoy the spoils of his success and died of tuberculosis aged 36. Shoe production in Lynn waned through the 20th century and the Great Depression devastated the shoe making industry hard. The last remaining shoe factory in the city burned to the ground in 1981. Today, nearly 99 percent of shoes sold in the US are made overseas. Cameron Kippen on the history of footwear on Midday with Margaret Throsby on ABC Classic FM. 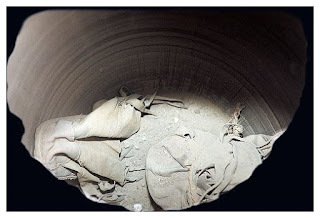 A cash of shoes hidden in an ancient Egyptian temple was found in 2004 by an Italian archaeological expedition team. More recent research confirms the design features of some of these shoes were well in advance of shoe technology of the time and André Veldmeijer , assistant director of the Netherlands-Flemish Institute in Cairo and expert in ancient Egyptian footwear is keen to find out more about the find. Seven shoes were deposited in a jar, three pairs and a single one. 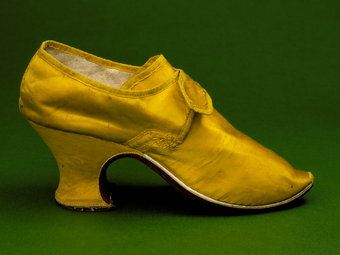 Two pairs were originally worn by children and were only about 7 inches (18 centimeters) long. 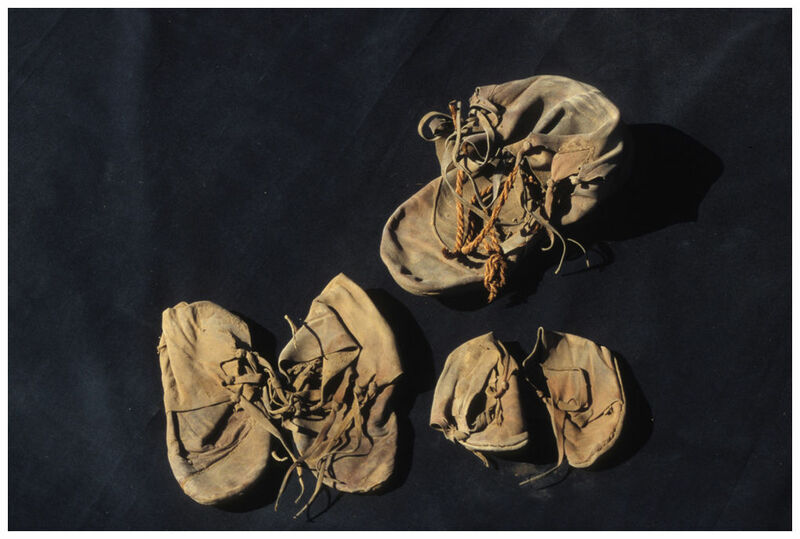 Using palm fibre string, the child shoes were tied together within a larger adult single shoe and put in the jar. Another pair of shoes, more than 9 inches (24 cm) long was also inserted in the jar. The jar was found hidden in a cavity between two mud brick walls in a temple in Luxor, site of the ancient city of Thebes . The footwear is thought to be over 2,000 years ago when Egypt was ruled by a dynasty of Greek descent. At the time the shoes were concealed, most Egyptians would normally have worn sandals. He extraordinary feature f the adult footwear is they were made with a rand. These are folded leather strips that go between the soles and the upper to prevent damage around the stitch holes that join them. The rand helps reinforce the stitiching but was not thought to not have been invented until the Middle Ages. The shoe was also tied with 'tailed toggles', i.e. leather strips that pass through at the top of the shoes and hung down decoratively on either side. Veldmeijer's analysis suggests the shoes may have been made outside Egypt and were almost certainly expensive. Uneven wearmarks and evidence of repair suggested one pair had been worn by someone with a limp and the second adult pair of shoes was worn by a person with bunions. No one yet knows why the shoes were hidden but it is postulated the expensive footwear was being kept in a safe place when the owners were forced to leave hurriedly. Madame de Pompadour, (1721-64) was the advisor and paramour of Louis XV and had tiny feet. She wore distinctive heels which were named after her. The heels were high and curved into a small base. The style became very popular among the courtiers. For a short time French courtesans (high class call girls) bound their feet to catch the attention of the king. This corresponded to a time when Europeans were strongly influenced but the styles of China and Japan. The Chinese movement in Europe was eventually replaced by gothic. The foot binding was less severe and practiced by grown women. The foot was made smaller and these women wore tight high heeled shoes. The distinctive walk was considered extremely attractive to the French and Italian men. The origins of modern ballet come from this period of history. Empress Elizabeth Petrovna (1741-1762) was the daughter of Peter the Great and Catherine I. She was a most powerful ruler, and some say a ruthless one too. However in her private quarters she always insisted on being attended by Arab boys dressed in ankle high boots with upturned toes and extravagant ribbon bows. Her successor Catherine .the Great.” was rather well known for entertaining rather bigger boys in her boudoire. Marie Antoinette (1755–93) was the Queen of France and married to Louis XVI. Unhappy, the queen surrounded herself with a dissolute clique and threw herself into a life of pleasure and extravagance. She had shoes for all her outfits and her servants would catalogue them to prevent the Queen from wearing the same pair. Since her highness would rarely, if ever, appear outside her palaces, the shoes were delicate works of art with no practical function. In October 1793 she was tried by a revolutionary tribunal and sentenced to death by guillotine. After the trial Marie Antoinette was taken to the "bathroom of the condemned" for the brief interval before her execution. She took time to prepare herself with care, in the spirit. and in the body and wore a white dress with black stockings and fine heeled shoes. It was usual for these condemned to death to wear a mourning dress by Marie Antoinette was an exception. The Prince of Wales (Edward VIII 1936) was a man with style much on his mind he popularised spectator shoes (or two tone shoes). These were popular in the US and were very much associated with the new music popular at the time, Jazz. Edward also broke with convention and wore suede shoes for semi-formal, town wear. Until this time suede shoes were considered the sign of a cad and bounder. Edward played golf and was of often photographed wearing his two tone brogues. These too became very popular and remain so to this day. When King George VI (1895-1952. Ruled 1936-1952). Suddenly found he had difficulty in walking up hill, his doctors diagnosed the problem as flat feet. Unfortunately the king's arches may have fallen but the man was suffering from severe intermittent claudication. The blood flow to his arteries was severely hampered due to his excessive smoking. The man poor suffered dreadful pains in his legs and died from lung cancer. The few times Queen Elizabeth the Queen Mother was ever seen in public not wearing high heels was on a visit to South Africa in 1946. One of her shoe heels broke and the Princess Elizabeth had to gave her walking shoes to complete the trip. Seeming the Queen to be was very dismissive of her mother's behaviour and reported to have remarked 'How typical of mummy...' Princess Diana did break a Royal tradition whereas the Queen has always dressed perfectly; she often did so without care for popular fashion. Her clothes throughout have basically remained modified, fifties fashion. The shoes represent the top of the range and are available in retail chains where they sell in the millions to the middle aged, middle class women in their millions. Diana, rather like the Queen Mother was a dedicated follower of fashion and carried a large, expensive wardrobe of designer clothing. She had shoes for all occasions from low heeled loafers to high heeled shoes in gold and silver. Jimmy Choo made shoes for Princess Diana and on the day of her death her shoe maker had an appointment to deliver handmade shoes. The Princess only wore higher heeled shoes after her divorce from the Prince, for the primary reason she was obliged to wear flat heels so as not to tower over the future king.